Who Is Council Amalgamation Good for? 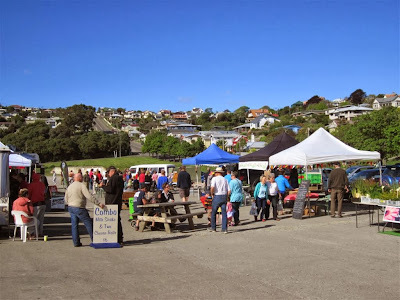 This week I have provided an update on where things are at in Mangawhai. As I see it. Part of my posting covers the Local Government Commission's recommendation re the re-organisation of Northland local government. (f) information that demonstrates that the application has community support in the district of each affected territorial authority. This asks a whole lot of questions, but I want to focus here on (e). This requires an application to state: "how they would promote good local government as described in clause 12..."
(iii) simplified planning processes within and across the affected area through, for example, the integration of statutory plans or a reduction in the number of plans to be prepared or approved by a local authority. If you stare at this requirement you will see that the Commission must be satisfied the preferred option: "will facilitate, in the affected area, improved economic performance...". No ifs, buts or maybes. A clear statement that re-organised Local Government "will facilitate improved economic performance" but only "promote" the purpose of local government. 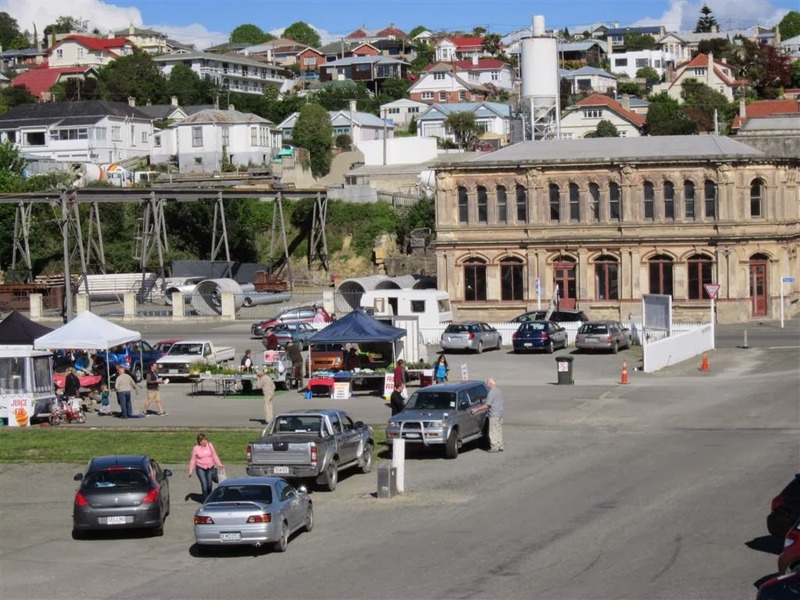 This event was run in association with Radio New Zealand. A number of commentators got together who had considered the AUT's report. I attended. One of 300 in the audience. It was supposed to be a little more interactive than it became. But the commentators held the floor. 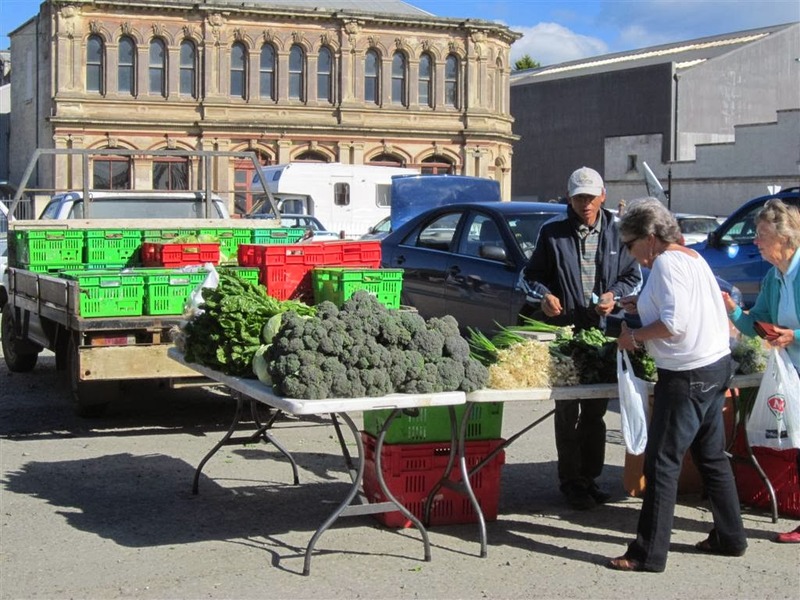 You can get the report and hear the Radio NZ program at the SuperCity Project website. There was some useful discussion about democracy, diversity and participation, but the high point seemed to be a discussion about ethnic diversity and representation. This was a bit of a lightning rod for dissent. Advocates talked about needing to be "governed with" rather "governed to...". 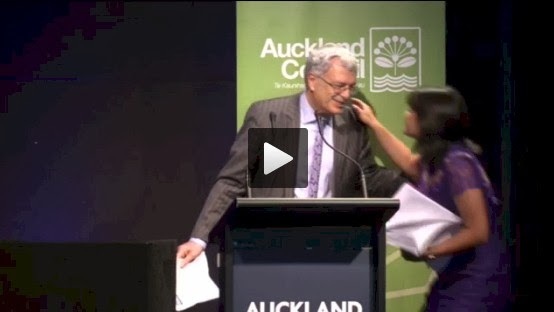 I quietly cheered when David Wilson argued that there was little being done by Auckland Council about social development, and a lot for economic development - this was in the context of comments about ATEED. However when the discussion drifted into transport (New Lynn, Busway etc) of water (three waters, Watercare), I was embarrassed at the state of knowledge that existed. Perhaps I have been immersed in these issues for too long - but I don't think it is helpful that this sort of event is conducted in an environment where recent history and facts around projects is largely absent. The chestnut of costs and debt was raised and CEO Doug McKay was there to defend Council's achievements. He said that Council had saved $140 million, that Watercare had saved $100 million. And when asked why rates hadn't dropped - because of the savings - he talked about the infrastructure deficit. This was the first time I'd heard Mai Chen of Chen Palmer Public Law Specialists. She spoke cheeringly of the re-organisation: "we have the platform, now it's blast off". But it was bit thin. 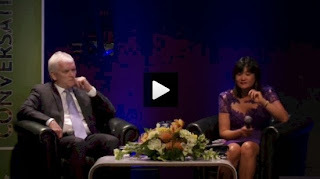 And then when the panel's Judy McGregor suggested that Watercare was "the lone ranger" when it comes to CCO's, Mai Chen jumped on her comments. In my notes: "Mai Chen - Watercare apologist..."
I asked someone afterward over the nibbles where Chen's comment might have come from, and was told, "she's looking for work in Auckland..."
I have to say this was a weird event. 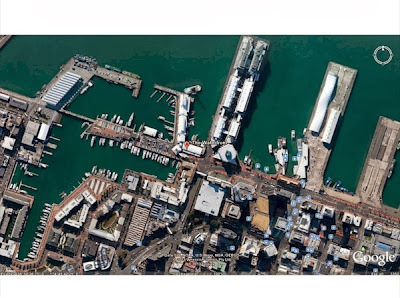 We'd all heard earlier in NZ Herald that Chen had been engaged by Ports of Auckland in a legal challenge with Auckland Council over the Unitary Plan provisions for port expansion and reclamation. Not a very good starting point for an Auckland Conversation about Auckland Amalgamation. Roger Blakely introduced Mai Chen. Best buddies it seems from Wellington days. 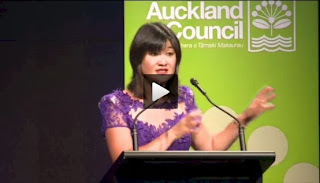 We learned that Mai had come to live in Auckland in 2012, and that "Doug and I got her to document the Auckland council reforms and present her findings...."
And then we heard from Mai. 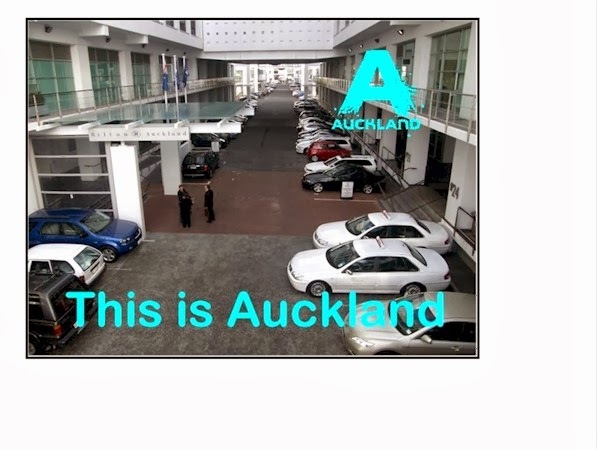 Paraphrased: "It's all about the angle of the narrative... Auckland is a role model for the rest of New Zealand... I have conclusive proof... discovered yesterday... this is what is happening right across New Zealand.... imitation is the most sincere form of flattery... success has many friends... failure does not...."
Mai talked up the example of the Northland local government re-organisation proposals that have been notified by the Local Government Commission (LGC). She quoted, at length, the summary of these proposals as notified by LGC (which you can see about 2/3 of the way through this posting.) In her view these proposals "look a lot like Auckland." Mai also read out sections of the Local Government Act that I have quoted above. But there was no reflection here. No reflection about the 2012 changes in the Local Government Act that now force the LGC to support re-organisation changes that prioritise economic development over other objectives. This is not imitation. This is not flattery. This is a careful Government initiative to force local government amalgamation. And it doesn't take a close reading of these new provisions of the LGA. All it takes is ONE person to write an application to the Local Govt Commission calling for amalgamation. That triggers the new re-organisation provisions of the LGA, which REQUIRE the LGC to prioritise options that "facilitate economic performance....". In other words to restructure local government in the interests of the economy. Environmental, social and cultural objectives all take a back seat. Mai was hot on innovation that had emerged from re-organisation, citing the Auckland Investment Office that has come from ATEED (wondering aloud how that would intersect with the CCO review and ensure coordination with central government finance), and the Housing Project Office that has emerged from the Housing Accord. Then we had 41 separate deliverables read out, from the Mayor's Office, one at a time. That was a gap filler. Man oh man. Give us an original idea. Local Board democracy was one of her key points. This was worrying: "There was 30% turnover in the election...". She referred to the LGC's recommendation about community boards in Northland: "Do we need 6...?" This was code for "Do we need 21 in Auckland...". And began to argue against rigid boundaries between board areas suggesting that having different signage policies in different parts of Auckland was problematic (is Devonport different from Botany, is Mt Eden different from New Lynn - when it comes to signs?) There was an edge of mockery in this part of Mai's presentation which clearly irked the audience. It was helpful to have someone in attendance from McKinlay Douglas Ltd because after Mai cited work that had been done by them about local government re-organisation in NSW Australia, someone stood up and corrected her, pointing out the concerns there that governance at local level, where people actually live, was very different from what was needed at regional level. Mai replied, "my job is to start a conversation..."
Those with memories or an interest in learning from history will recall what happened to local government in 1989. In a major reform of local government in New Zealand (population four million), over 230 units of local government were restructured.... into 74 territorial local authorities (TLAs). Our investigation focuses on highway maintenance, the largest of the range of service activities undertaken by each TLA. It should be noted that the process of public sector reform began in 1984 with widespread changes in central government organisational structure, financial management and accountability. 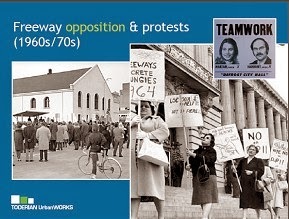 In other countries, various arguments are used to support or oppose amalgamation. In the UK, Dearlove (1979) provides an excellent discussion of howpotential economies of scale were used (without supporting argument) to justify an increased scale of local authority. He notes a long tradition of arguments against the smallness of local authorities as illustrated by the UK Poor Law Report of 1834. Citing a number of authors, Dearlove (1979) continues: “The orthodoxy which explained the inefficiency of the established system by pointing to the weakness of the small authorities carries within itself a number of ideas. First, there is the idea that the provision of services and the size of areas are interdependent; second, there is the idea that within the established system functions bear little or no relation to area; and third, all this leads smoothly into a rule of reform which points to the need for larger areas in order to increase efficiency” (ibid., p. 64). Dearlove describes a number of studies carried out in the 1960s that did not show improvements in performance associated with increasing size. A closer relationship between representatives and their constituency makes for effective information flows and consequently greater efficiency. This theory posits that citizens’ satisfaction will decrease with increasing size. Boyne (1992) defines ‘fragmentation’ as the number of separate units in a local government system and ‘concentration’ as the distribution of responsibilities and revenues. 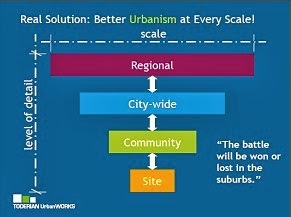 Both concepts can be applied to either vertical or horizontal structures of local government. “In sum, the broad pattern of the evidence suggests that lower spending is a feature of fragmented and deconcentrated local government systems. By contrast, consolidated and concentrated structures tend to be associated with higher spending. This implies that the technical benefits of large units with big market share, such as economies of scale and scope, are outweighed by competitive and political costs, such as disincentives towards fiscal migration and problems of public scrutiny” (Boyne, 1992, p. 354). If this tickles your taste buds, then have a look at the paper. Before we all rush into amalgamation - and Mai Chen suggests that other areas that have applied to the LGC with reorganisation proposals include: Masterton, Hawkes Bay and Wellington - then I would suggest there is a much cooler assessment of Auckland's situation - especially the cost of it all and the loss of democracy and the reduction in citizen satisfaction - before rushing headlong into more of the same. And ask yourself this question: Who Is Local Government Re-Organisation REALLY good for? 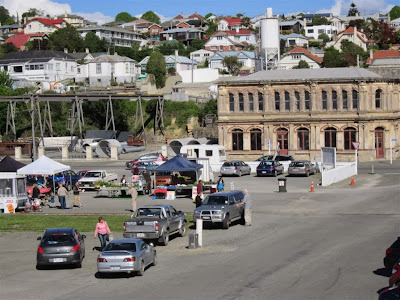 Ngati Whatua Devonport Density Done Well? This is on land known as "Wakakura". A big piece of land that used to house low cost two storey homes used by Navy ratings and their families. On the corner of Ngataringa Road and Lake Road. Great views out over Ngataringa Bay, Stanley Bay to the City of Auckland. It's been used as a local park for the past 10 years or so. Since the Navy housing was demolished. 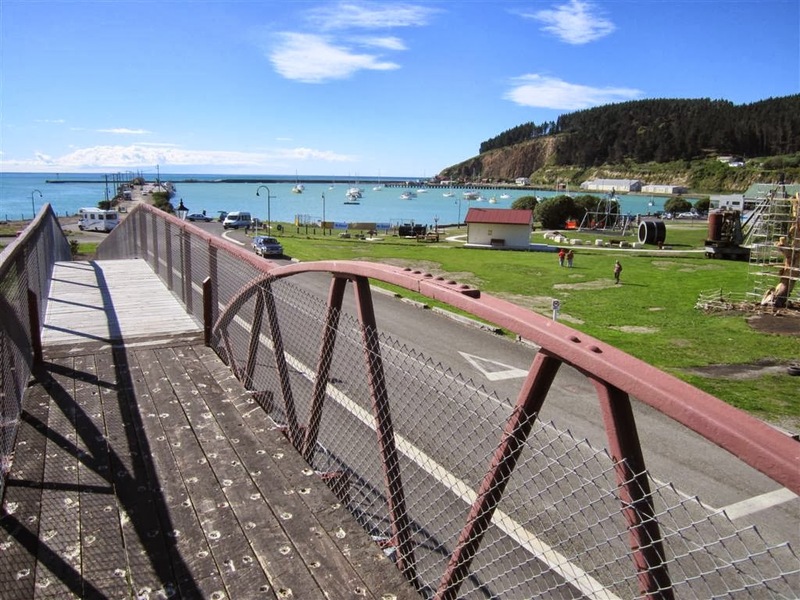 The land is part of the settlement that was done with Ngati Whatua. The leaflet describes plans for development of the land. 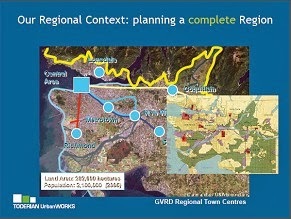 One side of the leaflet (carrying the Auckland Council's logo) shows 3 different "Areas". The other side of the leaflet contains a concerned letter for local residents. It was likely prepared by a local resident who's done a bit of research. 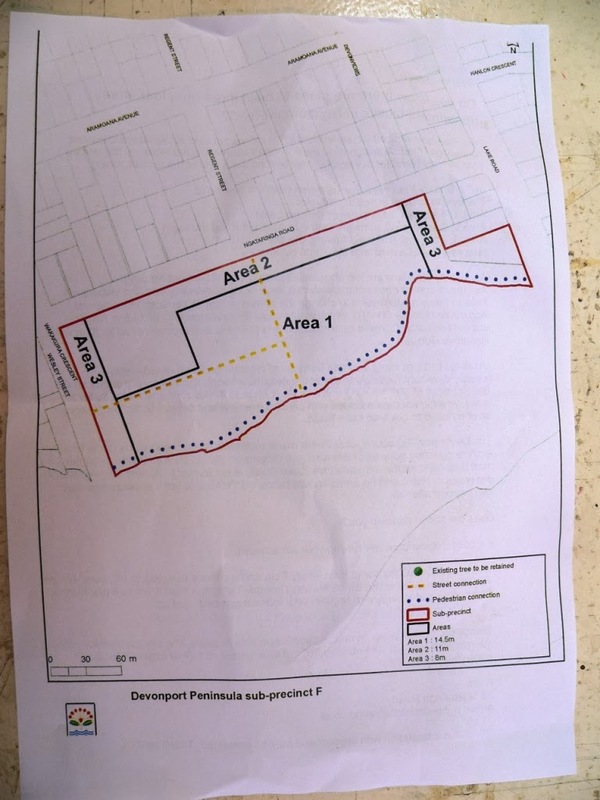 It describes apparent plans for site development, and indicates that the land owner is seeking changes to the Unitary Plan provisions for the site which would permit heights between 4 and 2 storeys in the 3 areas. Now - without going into the rights and wrongs of the proposals - which I understand are for a mix of retirement homes, affordable housing, and I imagine high amenity penthouse apartments - I question the process that is unfolding. 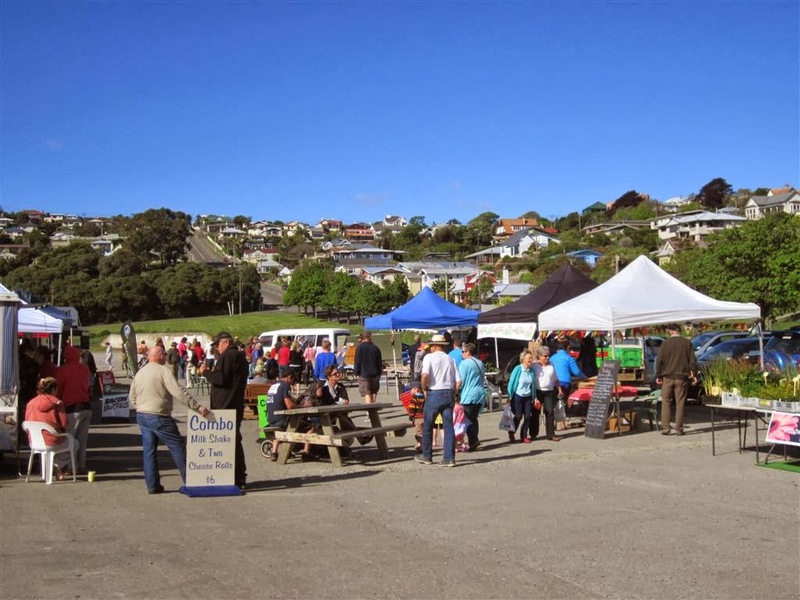 I am aware that Devonport and much of the North Shore lacks diversity in housing types. There is a shortage of smaller homes - for retired people, for individuals, for young people. Their housing needs would be met in a more "complete" community. 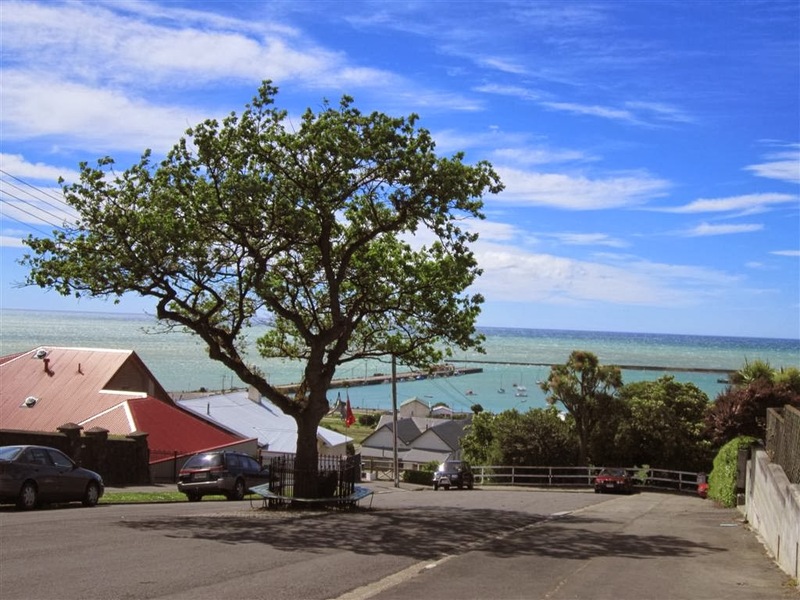 Pieces of land like Wakakura, and others like it on Bayswater present an exceptional opportunity to provide a diversity of housing types which are smaller than the typical North Shore detached home which comes with private lawn and garden (a hassle for many), and which are therefore more expensive because of land costs. So there is a real local demand for affordable and smaller homes. However, existing residents are concerned that they may lose out. Their worries include traffic, views, noise, new neighbours. These worries are understandeable - especially when the process that is unfolding appears "secret" and does not include them or involve them. Now - I am not saying that the land owner is acting "secretly". The land owner is following the rules. The draft unitary plan has been notified and submissions have been called for. The land owner is making a submission. A local resident has learned about that submission, and is suggesting that locals should put in submissions - presumably counter-submissions. To protect their own interests. This is probably counter-productive. But it is totally human and understandable. And predictable. 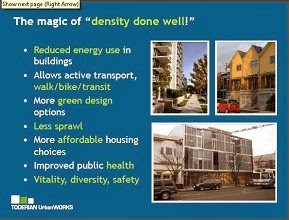 Appropriate implementation strategies and processes are key to the success of density done well. 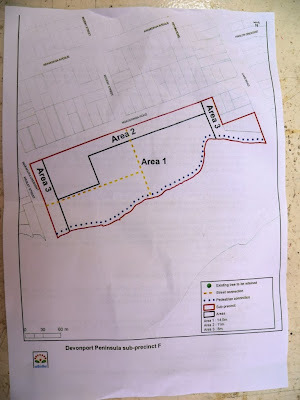 It may be that the developer of this land has ideas and proposals that include a local park (which can be enjoyed by the local community - not just those who live in the new housing units). It may be that there will be a children's playground - with equipment for example (there are a lot of children in Ngataringa Road and locally). It may be that the developer proposes some commercial activity like a cafe or equivalent. (Amenity that can be enjoyed by existing community.) 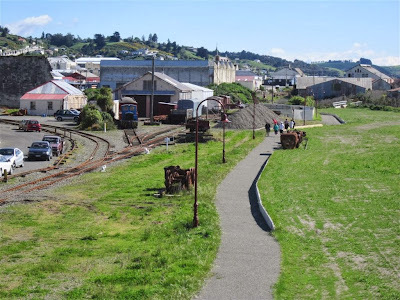 Perhaps there will be a cyclepath and walkway through the development that everybody can use (there is a well used informal pathway through the land now). Interestingly - the plan seems to have eliminated all of the trees that presently grace Wakakura. Perhaps that is a mistake. But you see what I'm getting at. Unless the developer's proposals are seen in whole - and show how the local community can all benefit - how the new homes will meet local needs as well - then there is likely to be opposition. It will look like a gated community. Something separate. Something that's not very neighbourly. Not good process. We can do better. We need to do better. When the Validation Bill had its first reading I was struck by the insight of many of the MPs who spoke. And these were all on the Select Ctte. Almost to an MP they referred to the apparent failure of the Audit Office in giving Kaipara District Council a clean bill of financial health. 2. I understand the KDC commissioners believe that to fulfil the terms of reference set out in the gazette notice promulgated upon their appointment, that a validation bill is the best course of action for them to pursue with the support of Parliament. However, their terms of reference do not specifically allow or require them to investigate the broader issues that have led to the situation that now exists. Select Committee members will be aware that several investigations are underway into the events and processes surrounding historical KDC decisions that relate to the Ecocare Sewage Scheme. 3. It is my submission that while the Select Committee is required to consider the Validation Bill, members cannot do justice to that consideration unless they are informed about the broader issues. I submit therefore that Committee Members should be provided the relevant report of the Office of Auditor General and the report which investigates the role of the Audit Office. Members need to read and understood those reports if they are to make sense of the submissions of many citizens who will inevitably raise broader concerns – alongside specific concerns relating to the Validation Bill itself. 4. In support of this submission I would draw attention to the statements made by Members in the House of Parliament when the Validation Bill was introduced and had its first reading. I watched this session of Parliament on TV and was struck by the depth of understanding shown by MPs into the broader issues – and by their public calls for submitters to come to the Select Committee and explain the whole story. In my submission, Select Ctte Members and Chair will need to be in a position to respond to those broader submissions. 5. In my submission giving consideration only to submissions that specifically address the validation would be like re-arranging the deckchairs on the Titanic. It is essential for the Select Ctte to be informed about the broader issues and be in a position to act in the round. 6. I have been doing some research on how the provisions in the legislation that has been relied upon to justify the loans and the ability of KDC to rate ratepayers for them, came about. The following bullet points are a very simple (probably too simple) summary of what happened. • On or about 18 July 1996 Parliament made a suite of financial management changes to the Local Government Act. The then Minister of Local Govt Graeme Lee explained to Parliament: "The predominant objective is to require local authorities to identify explicitly the reasons for their funding proposals. In turn, this will engender public consultation, and will promote funding decisions that are more clearly representative of the wishes and the values of local communities....". This included a section about "protected transactions" and borrowings. Richard Northey - an opposition member told Parliament: "....Government members, and members of the other parties were happy to see the abolition of loan polls on the basis that the consultation and forward planning provisions for revenue raising and borrowing, in particular, that are provided in this Bill provide a fairer accountability and a level playing field in terms of revenue raising for local government...." The idea of a separate loan poll was dropped by Parliament on the basis that borrowing decisions would be accountable. • Then in 2002 Parliament introduced a new Local Government Act. This included the idea of General Competence - that Councils could do what the community wanted (subject to consultation), rather than being constrained to provide specific services. When the new Bill was introduced to Parliament it did not contain any "protected transactions" provisions. Several Councils made submissions about this to the Select Committee. Parliament was persuaded to include the old 1996 Local Government Act Section 122ZG(3) (which protected bank transactions). This change was made seemingly at the last minute - and without properly integrating it into the consultation, transparency and democratic provisions of the new Act. Without that integration it is likely that it should have been included with a Loan Poll requirement. But it was not. 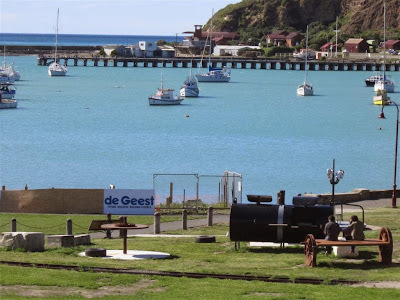 • On 24 August 2005 Kaipara District Council (KDC) resolved to accept an offer from EarthTech Consulting Limited (EarthTech) to design, construct and operate the proposed EcoCare Sewage system. The idea was to establish an arm's length company to do this. Local Authority Trading Enterprises and suchlike were envisaged in the new Local Government Act. This was a bit like a "Build, Own, Operate and Transfer" arrangement. (BOOT). • On 26 September 2007 KDC resolved in confidential to adopt Modification 1 (the expansion of the sewage scheme - doubling its size and cost), confirm the EcoCare Agreement and concluded negotiations with EarthTech and ABN Amro Bank to activate the necessary funding and borrowing arrangements. At this stage the public were none the wiser about the expansion. • On 7 December 2007 KDC decided - in secret - to give effect to Modification 1. It also executed a term loan facility agreement with ABN Amro Bank for the amount of $53,000,000. Ultimately KDC borrowed $57,978,000.00 from ABN Amro Bank - including capitalised interest. This debt did not show on any public KDC balance sheet for several years. It stayed hidden from public knowledge - presumably on the accounts of EarthTech - despite the fact it was the Council that had negotiated the loan - and presumably offered rates revenue as security. 7. The ratepayer revolt began. The rest is history. Ratepayers could NEVER have found out about the $57,978,000, until it was provided for in an Annual Plan. The borrowing was hidden in EarthTech and described in deals between KDC, ABN Amro and EarthTech. No amount of LGOIMA requests for information could dig deep enough. But ratepayers had good reason to be concerned. That was why they tried to alert the Office of the Auditor General and the Audit Office. These institutions - had they looked - would have seen what was happening and could have blown the whistle years ago. They could also have seen that the legislation lacked public interest safeguards requiring consultation PRIOR to taking out bank loans. 8. The validation Bill Select Committee is an opportunity for a good sized group of MPs to understand how the law has failed KDC ratepayers, and to learn about the consequences when Government's system of checks and balances (Audit Office) fails to do a decent job when alerted. Then the MPs need to act. Those actions need to extend beyond the narrow scope of the Validation Bill.. So. That was my submission. You might like to have a look at what others had to say. This is great material and recommended reading. You can see a list of all submissions to the Bill here, and then see that actual submissions. Mike Sabin, MP for Northland, has called for the Office of the Auditor General to meet the cost of any failure if it is shown that Auditor at the time failed in their duties and responsibilities to the Kaipara Council, during in his second reading speech on the Kaipara District Council (Validation of Rates and Other Matters) Bill last night. Mr Sabin, as the local MP, was asked by the Council’s Commissioners to sponsor the Bill into the House and it had its first reading in early June this year. “No one is a fan of retrospective legislation. It is a last resort and reflects Council failure. Unfortunately, it is required, and is the only workable way to remedy failures and errors that were avoidable but, nonetheless, occurred,” says Mr Sabin. Mr Sabin was highly critical in his speech of the previous Council and their auditor, and questioned how, with such longstanding and deep-seated compliance and other fundamental financial mismanagement issues it could get clean audits year after year. “The committee were however very concerned about the penalties and I am also pleased that a compromise was able to be found which all, including the commissioners supported. 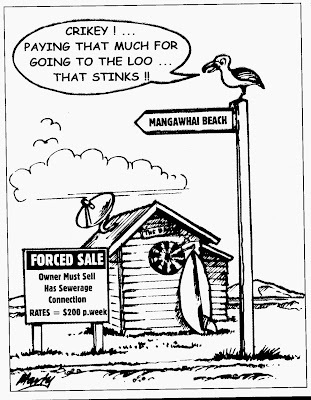 “Some ratepayers in Kaipara – about 1000 of the 13000 total - are withholding their rates, because they feel aggrieved that the Mangawhai Wastewater project blew out in cost, or simply because they believe the rates are not valid. “This Bill validates the penalties on the rates that this Bill validates. However some Select Committee members felt that some of the penalties that had been applied to accounts should be remitted and worked hard with the chair of commissioners to find a way to accommodate these concerns. Which sounds good, but the devil is in the detail. 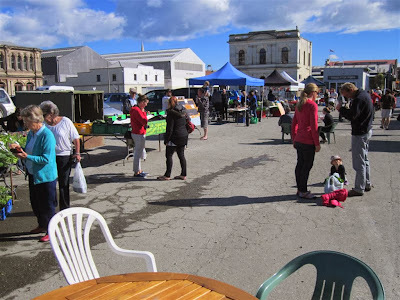 He states that"the Office of the Auditor General to meet the cost of any failure".....but wait for it "if it is shown that Auditor at the time failed in their duties and responsibilities to the Kaipara Council." This is the devil. Shown by whom? My understanding is that the Audit Office is an unwelcome watchdog, but that is what it is. If it visits, and barks a bit, is that what its duty and responsibility amounts to? I think there is a need here for Government to recognise that it has a moral duty here. The buck stopped with the OAG and the Audit Office on this. Perhaps the Minister of Local Government. However you look at it the failure is with governance at the highest level. 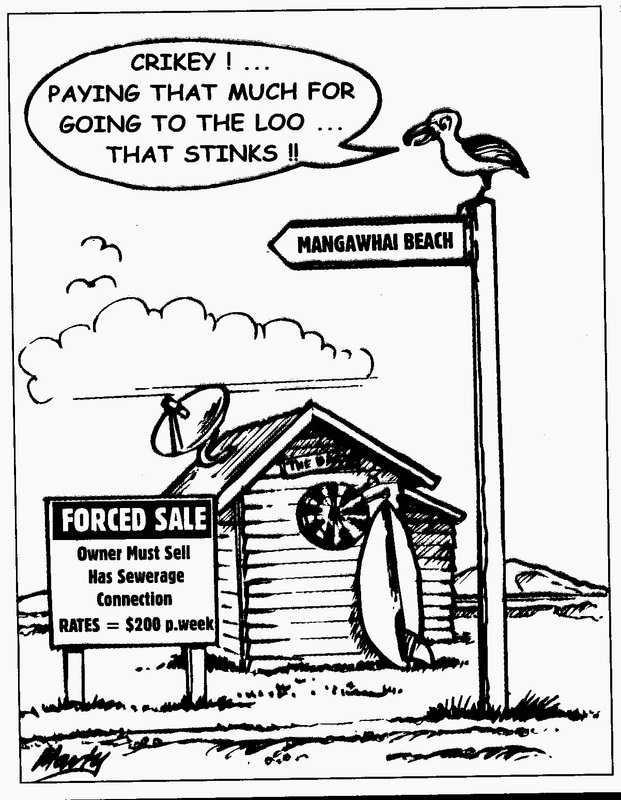 From where I sit the only real pressure on Government to do the right thing here is the Judicial Review proceedings initiated by the Mangawhai Ratepayers and Residents Association. I believe this will lead to a High Court ruling along the lines that Kaipara District Council cannot legally require ratepayers to be liable for loans that were not raised in accordance with LGA provisions. Both sessions will cover the same information. The full report and a summary of the key points will be published soon after 2pm on the internet at www.oag.govt.nz and copies of the summary will be available at the community briefings. So that should be interesting. I hope and expect that the report into the role of the Audit Office (which is a separate report) will also be reported on. This was always an opportunity here, for an opportunist, to seek amalgamation on the back of local discontent. 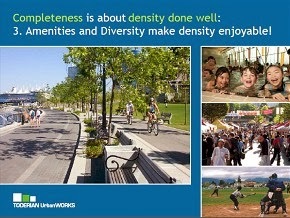 To say that it is designed "to bind together all communities" is disingenuous and misleading. Local communities know they are different - and viva la difference - they would say. Amalgamation is a bind for locals because they can no longer determine locally their destiny. "Beware what you wish for", was my way of expressing reluctance at amalgamation when I stood for the Exec Ctte of Mangahwai Ratepayers and Residents Association. I sensed that locals were quite happy to get shot of Kaipara District Council after what it had done. The trick is - though - what will it be replaced with? Sounds like - from the above - that it will be by a new "Whangarei Ward and Community Board" (South East Ward of Northland.). You can get the whole LGC document from its website. And submissions need to be made by 14th February 2014. My short term concern is that amalgamation could be used as a "catch-all" opportunity to sweep the EcoCare mess under the carpet. Not really deal with it. So, for the short term I would suggest submissions that call for EcoCare debt issues to be cleared up BEFORE any debate on amalgamation. Start with a clean slate at least. But on the wider front, longer term, I understand that the supposed efficiencies that are claimed from amalgamation are not real. Certainly Auckland's debt has ballooned, senior managers and executive pay has sky-rocketed, and there is very limited accountability. Very hard now for anyone who works in Auckland Council - let alone ratepayers - to figure out who is responsible for what. On Wednesday 6th Nov I had the pleasure of introducing and moderating a lunchtime panel session for Trans-Tasman Business Circle members about Auckland's Waterfront Vision. It was hosted by Downer New Zealand and Kensington Swan in the KPMG building on the Viaduct. 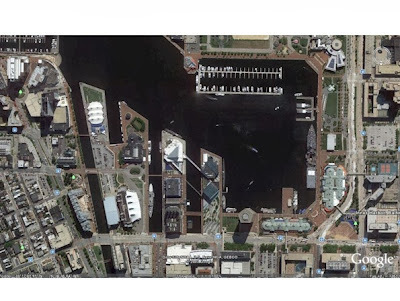 This is Baltimore's inner harbour waterfront. Its equivalent of Auckland's downtown waterfront. The difference is that Baltimore has been working on its downtown waterfront for more than 40 years. That's the typical duration for downtown city waterfront regeneration to occur. This image is to the same scale as the one shown here for Auckland. 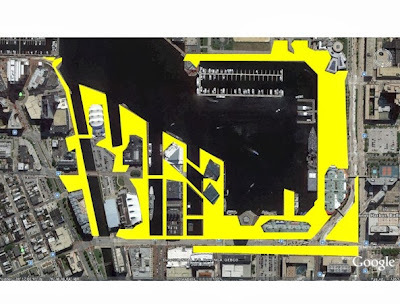 Here is the amount of public space that is provided on Baltimore's downtown waterfront. You can see the spaces that are used for parking. Some buildings that I have excluded are for public facilities such as a museum and an aquarium - but I have not included those in the public space area. You can readily observe that Baltimore's waterfront space is more than double Auckland's in area - which is piecemeal and disconnected by comparison. 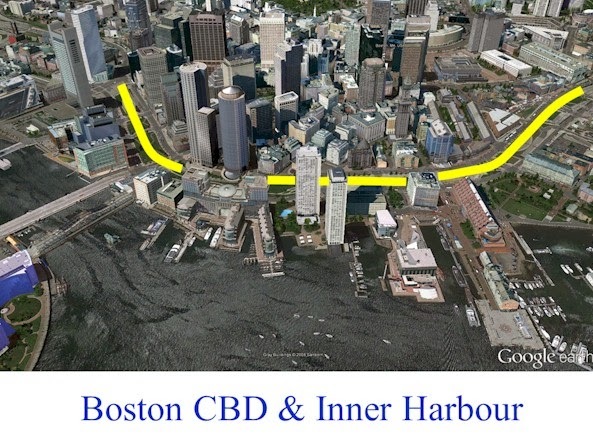 The second big picture was a Princes Wharf case study. This is one image that was used in early designs for Princes Wharf. It was published in local newspapers. 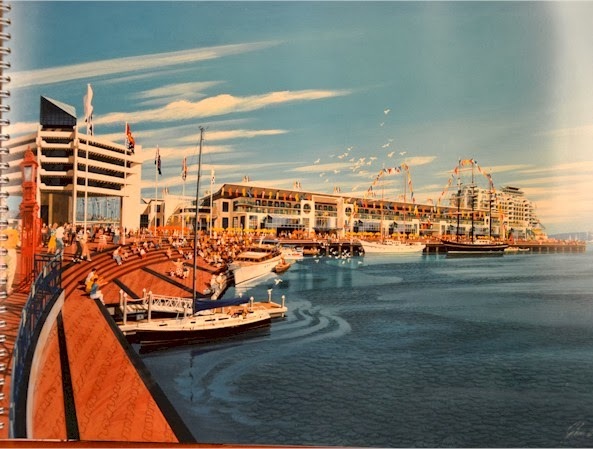 It was an expression of the vision for Princes Wharf - and showed generous areas of connected public space. 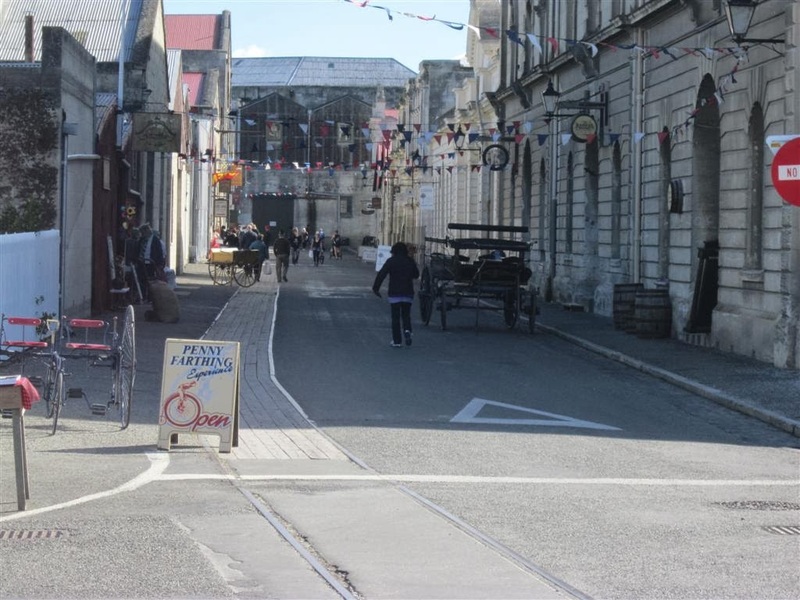 Other visions expressed around the same time advocated for the pedestrianisation of Quay Street all the way through to and onto Queens Wharf, and up Queen Elizabeth Square. 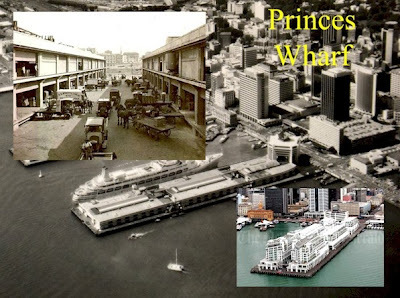 But Auckland ended up with a hotel, lots of apartments, and lots of car-parking on Princes Wharf. 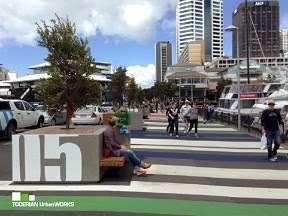 My point was that Auckland is good at visions - but woeful in their implementation. Big Steps are needed. And the footprints need to be protected, not filled in later. And my last big step. 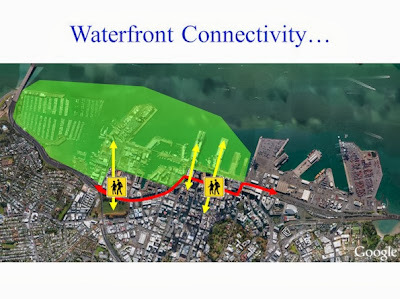 The green area shows the likely extent of Auckland's downtown waterfront (it includes Marsden and Captain Cook wharves, excludes the Port). 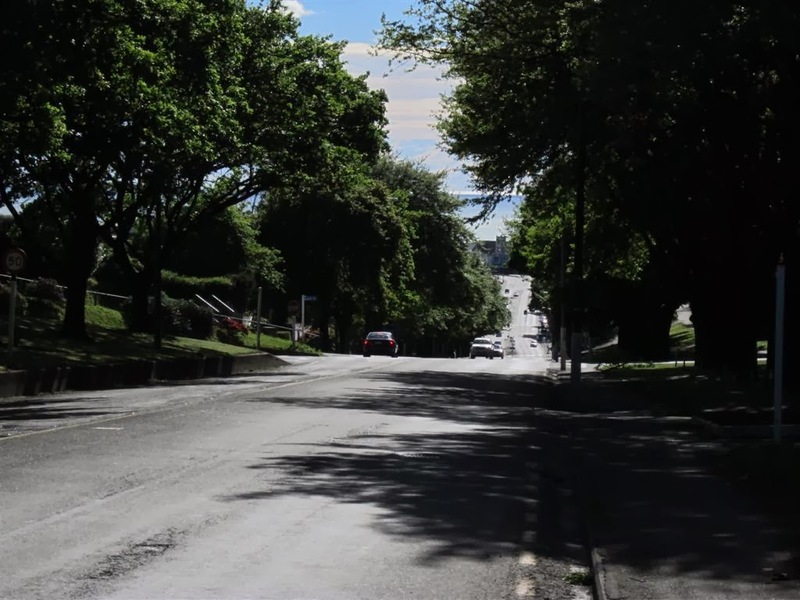 And here we come to the problem that needs to be solved by the public will - not by Auckland's traffic engineers. The yellow arrows show the challenges Auckland has in achieving good pedestrian connectivity North/South between waterfront areas and city. Fanshaw separates Victoria Park from Wynyard Quarter. This separation needs to be connected or bridged. Princes Wharf needs to be connected better into the city. And Auckland Council has let traffic take over the People's Wharf - Queens Wharf. The public don't like it. It's a hazard. Sorry guys. No good. Big steps needed. Get un-necessary traffic out of the CBD - not through the CBD. And to finish, here's what Boston did to connect its waterfront into the CBD. 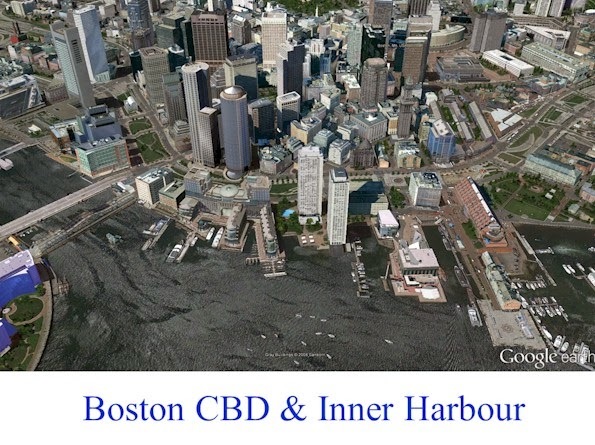 Sure Boston is a bigger city than Auckland - but not much bigger. If you look you can Boston's equivalent of the red line I drew above. I've put this yellow line in so you can see the alignment I'm talking about. Basically it's a linear green park at street level. 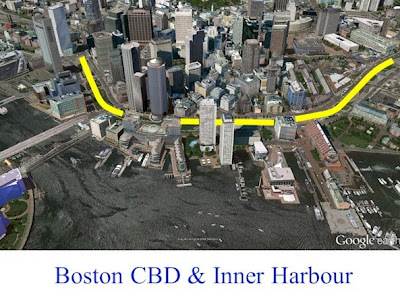 The big step that Boston took to deal with its waterfront traffic, and to connect its CBD into the waterfront for pedestrians and cyclists, was to underground the traffic corridor. Cost $14.6 billion. Big step. 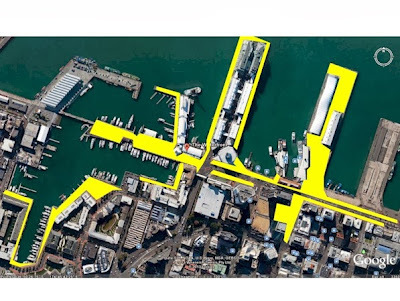 Maybe Auckland can't afford that sized step - but big planning and council steps are needed to realise Auckland's waterfront vision. Take it to the next level. 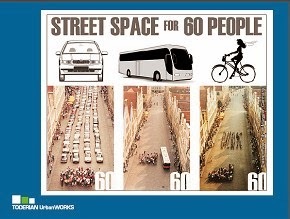 Don't let cars take over. There's the Victorian heritage limestone area of Oamaru town centre. Right next to the waterfront. Quite touristy, but a surprising number of locals are employed here. There's also a regular farmer's market. Takes up space where the railway sidings used to be. 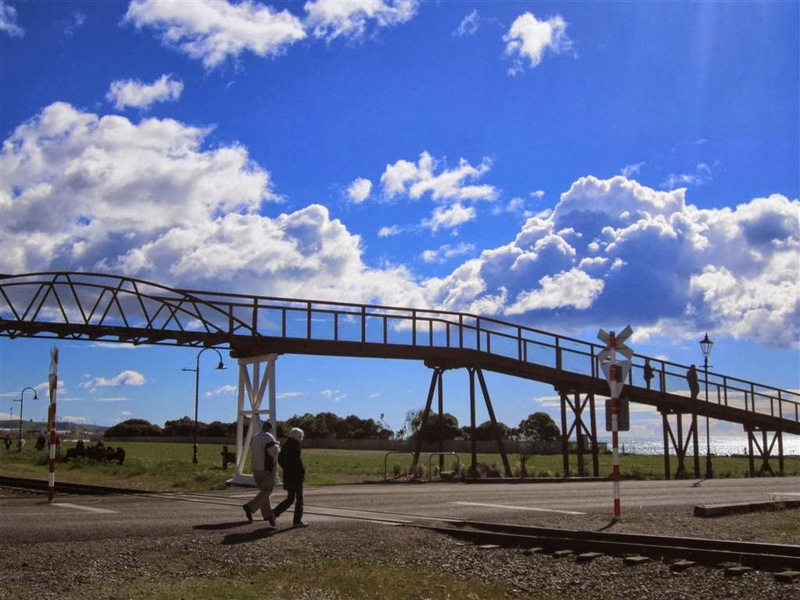 The old pedestrian bridge across the railway sidings has been left - it's even made of bent railway iron. Probably surplus sleepers as well. Nothing like an elevated bridge to survey the place. 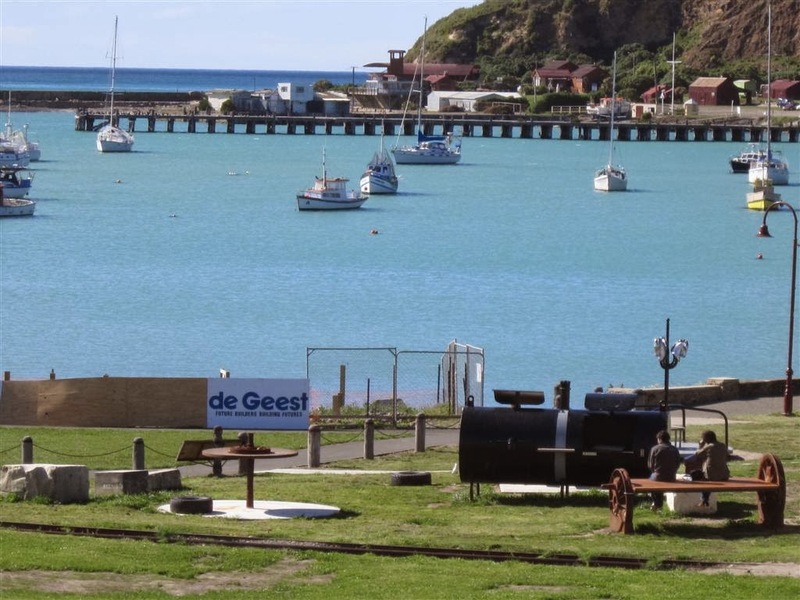 There's a small fishing boat fleet operating from the harbour, but most of the boats are now recreational. And everywhere there are connected walkways. "...Brent will explain how best practice design and building projects fit into the bigger picture for developing liveable cities. 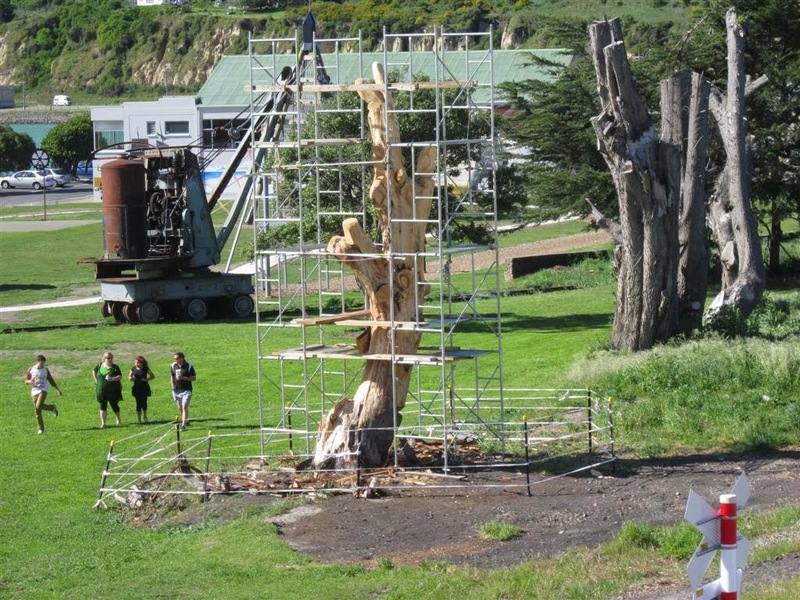 No matter what the scale, every project undertaken will shape the community as a whole. In Vancouver, known internationally as a 'city by design', Brent oversaw all development and design, implementing new approaches for neighborhood development, place-making, green design and architectural diversity...."
So read the spiel for Brent's Auckland Conversations talk - attended by 650 I understand - in the NZI room of Aotea Centre 30th October. 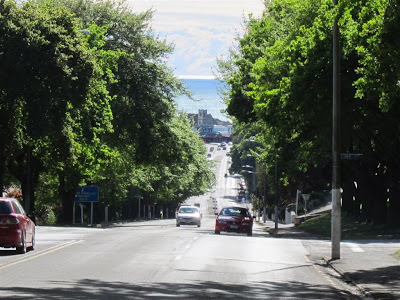 Brent had been in Auckland for 4 days and had been immersed in Auckland, walking, talking, learning about the Unitary Plan. 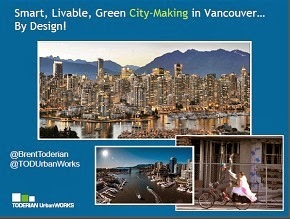 I found his talk useful because of his practical experience in Vancouver and Calgary, and extremely insightful about Auckland (probably because I agreed with a lot of it). Because a lot of his insight was expressed in what he said (when he spoke to his slides), and because I think what he said should not be lost (or only available on the webinar clips of his presentation), I have gone through his talk to transcribe the sections that I think Auckland, Auckland planners, and Auckland councillors and politicians need to take to heart. "....People always want me to be controversial. Tell us the bad things about our city. They get a morbid pleasure. But I’m a big fan of Auckland. I'm impressed with what I’ve seen. But I have been constructively critical. Good design is not skin deep, it’s not about aesthetics, it’s about deep foundational value, creation and issues…. Do we do good design or do we create jobs? 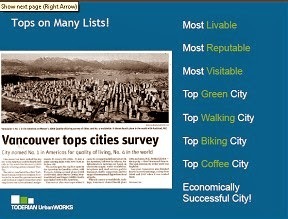 We (Vancouver) are up there on many lists … along with Auckland … what we did is the bedrock for this. It’s not what we trade away. 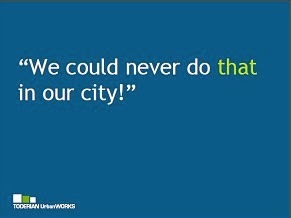 And don’t say the worst words: “we could not do that in our city”. I worked in Calgary before. Conservative place. Still made big changes. The only reason that a big change can’t be made is because you don’t want it enough. Consequences of not doing the right things have never been more clear. It’s the smart phone that is freedom. Not the car. The boomers and the millenials are choosing better urbanism. Families are in the middle. We design our downtowns now for kids and families, and that’s why they come and live there. 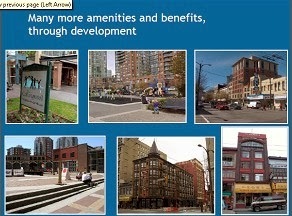 We use density bonuses and other incentives to provide daycare centres and new schools in our downtowns. And so families come and live there. 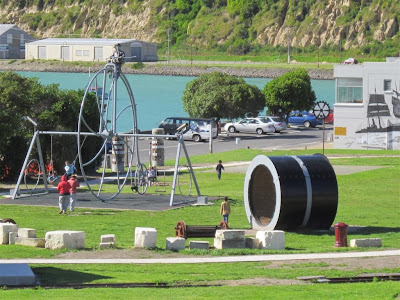 By the way I was blown away by the kids playground that I saw down on your waterfront. 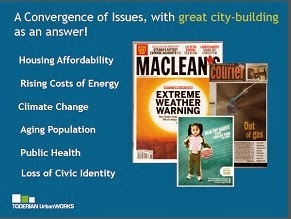 Cities around the world are struggling with the same issues as you are. We can learn from other cities. But sometimes we say: “we can’t learn from you because you are different…” That’s silly. We can learn from other cities. And it’s important that the neighbourhoods across the city are also part of this. 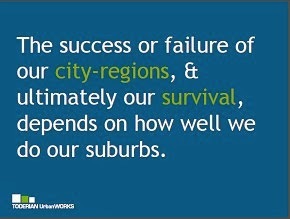 And that includes your suburbs. I know it’s early days. 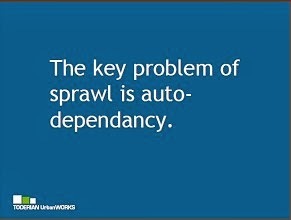 Car-oriented vertical sprawl is what happens when you only deliver intensity and density, but not community. 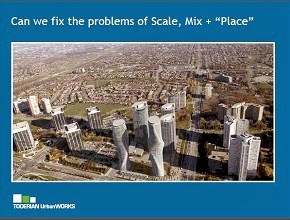 That involves fixing the three issues of scale, mix and place together. The scale is wrong when you have to take the car to do anything – where uses are separated and far apart. Mix is wrong when you have single uses. You come down the elevator and the school is far away. Or all you see when you come down is the freeway and you have to get on it. Nothing’s walkable. You have some rare successes in your suburbs. Can you translate or replicate that elsewhere…? When we went out to talk with the Vancouver community – to have a conversation with the community - about density, we were always talking about why we were having this conversation. 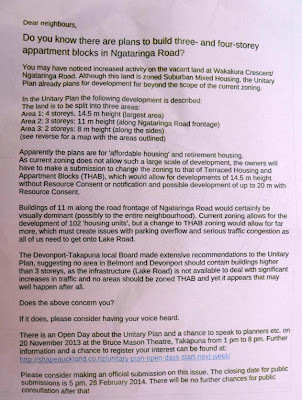 And this is one of the things that was missing (here) in the context of the Unitary Plan work. 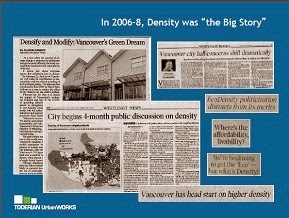 You don’t just ask people: ‘do you want to densify?’ You have to tell a compelling and true story about why we are even having the conversation about density. We never have a conversation in Vancouver that just asks the question: ‘well, what do you want to do?’ We spend a lot of time educating the public before the public educates us with their wisdom, but if they don’t understand the challenges that we have, and the issues that we have, and the goals and objectives that we have set for ourselves, then they just say what they want…. There are three main elements to completeness and density done well. 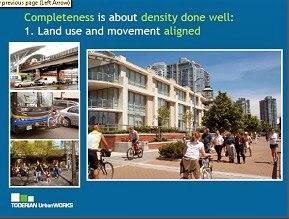 And the primary one is that land use and movement is aligned. 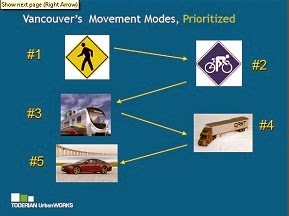 Mobility and land use planning has to be integrated and aligned. Too many cities separate these discussions. It was the moms that shut it down. It wasn’t the professional urbanists. It was the citizens… that shut it down. 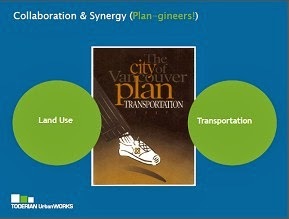 That was the catalyst that took us to where land use and transport planning was done together. 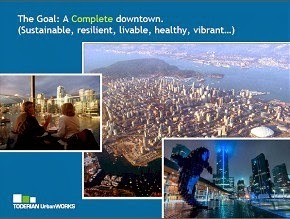 The 1997 Plan changed everything for Vancouver. 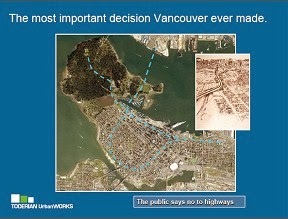 It said that we were not going to build any new road capacity for cars in Vancouver. None. And actually we are going to be taking capacity away because we are going to be widening sidewalks for walking, creating cycle lanes and buslanes. And the second thing we did was we were not going to perpetuate the myth then you can balance modes. Because that’s just saying: ‘business as usual’. 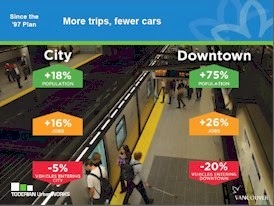 The counter-intuitive thing that happens when you do that is that it gets better for every mode for getting around town. The worst thing you can do for drivers is build more roads. There’s not a city in the world that has made driving better by building more roads. Every traffic expert in the world should know that yet many of them are still recommending building more roads. We have the proof in Vancouver of this. These are the stats since 1997. Lower congestion. Lower commuting times. Lower vehicle kilometres travelled. 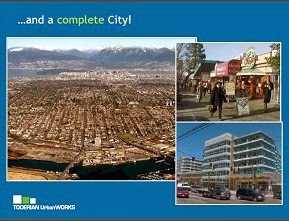 We are the only city in North America that has reduced those things. And we’ve done it by taking away roads. And this is where the trips have gone in our multi-modal city. It’s not magic. 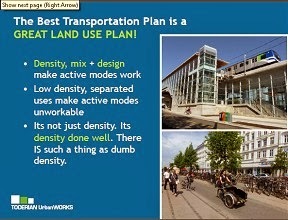 The best transport plan is a GREAT LAND USE PLAN. If you get your mix of uses right, your densities right, then the transport problem is much easier to solve. Our traffic engineers say that all the time. 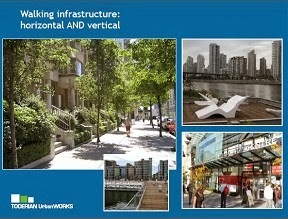 Walking infrastructure is at vertical and horizontal levels. It’s the street wall the city at eye level the buildings at eye level that have more impact on the walking experience for pedestrians. But here (in Auckland) I discover you design a lot of eye candy for cars, but less eye candy for walkers is my experience walking around your city for the last four days. You have beautiful landscaping for cars, which tells me you care a lot about cars and their drivers. But walking around the city I see very little evidence that you care about walking. 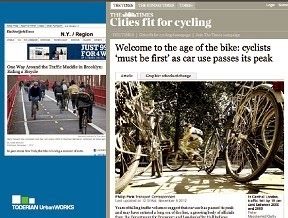 Cycling is our second choice, and round here I see very little evidence that you care about urban cycling at this point, but I understand you have aspirations and you are moving in the right direction. That’s good to hear. But right now there’s no evidence that I’ve seen that you are a biking friendly city. (applause). 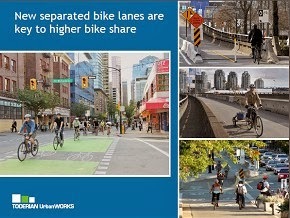 There’s absolutely no way you’ll increase your cycling mode share without separated bike lanes. Paint will not do it. You need to physically protect your cyclists from automobiles. Low traffic volume streets are the ones where you put separated cycle lanes. 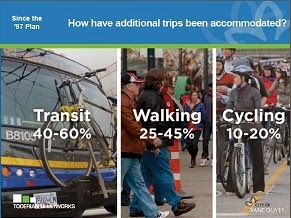 We are tied with Portland with the highest proportion of trips made by bike at 4.5%. We are on track to double it and triple it because we are being very aggressive with our program of urban cycling infrastructure. Kilometre for kilometre cycle lanes are the cheapest transport infrastructure. 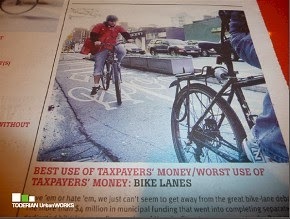 "worst use of taxpayers money that year: bike lanes". We don’t use the term “Transit Oriented Development” anymore. Because we’re next generation now. 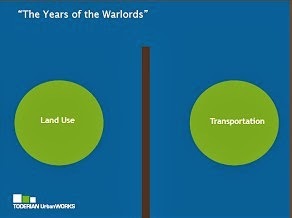 We don’t think of them as transit corridors. 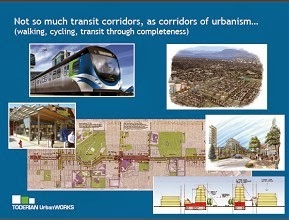 We think of them as mixed use or mobility corridors. Linear urban communities. We look at them from a walk, bike – and then transit – perspective. We’d rather you not have to get on transit. We’d rather you were able to walk to the grocery store. Cars take up a lot space. No matter how green a car is, or what comes out of its tail pipe, fundamentally cars are a space challenge. You can’t solve this by building a greener car. We can design cities where the car is present – but isn’t necessary. True freedom is not about designing cities for cars (North American mythology for many many years) – it’s designing in mobility choice…..
(Brent spoke at length about the experience of hosting the Olympics, how the city coped with the crowds, and how the city’s streets were used…) All of the streets that we closed during the games - we began to think of them as public realm. 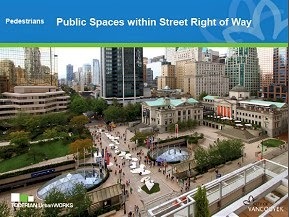 As places, not just spaces to move pedestrians and vehicles through, but places just to be in. We were not particularly good at thinking of streets as public places. Our new Viva Vancouver plan is about rethinking the use of streets as real activity places – not just for moving pedestrians and cars. 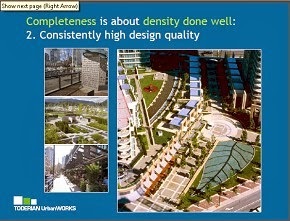 The second principle in implementing Completeness and Density Done Well. Important that a consistently high standard of design is maintained. Particularly public places and parks. And it starts from the waterfront. The principle is that the whole waterfront should be accessible. 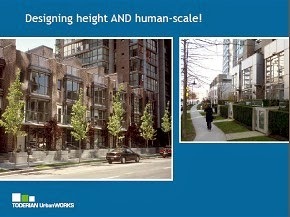 Designing for height is about designing what happens at street level. This is about the podium structure that supports tall buildings. It’s the podium that fronts the street. It’s the podiums that define the street rather than the tall buildings above which are largely set back from the street. And all of it through density, and by the way it changes the public’s perception of density because they know they are getting amenities as densities increase. It changes the political discussion. So how did we do it? In 2006 for two years we put it on the front page. It was about what density is, and what it does. 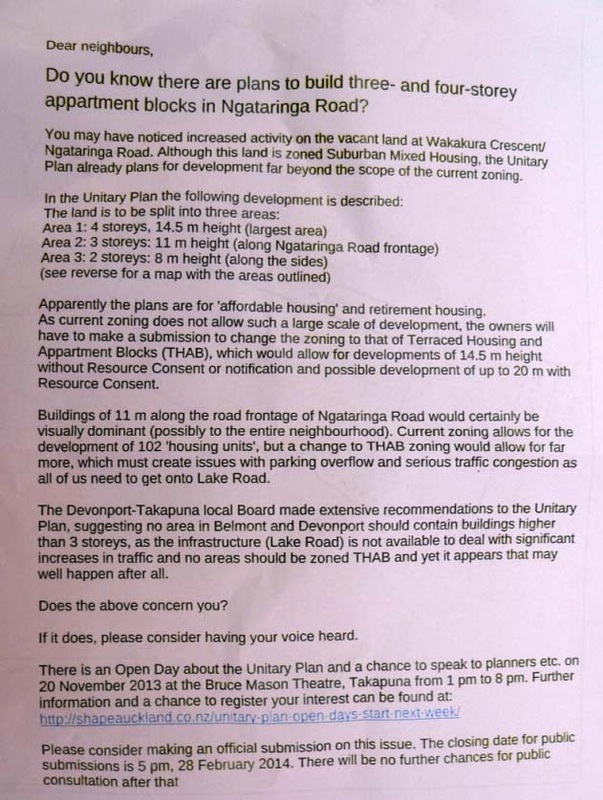 I worry that your Unitary Plan had that opportunity and didn’t go far enough. Because if you haven’t had this discussion at a macro scale about densification, if you’re only having this conversation on a project by project basis, you’re pulling off the band aid really slowly and painfully, you’re not getting to that level of sophistication about what density really means. This event was filmed and a copy of Brent’s presentation can be located in the AUCKLAND CONVERSATIONS Media Vault along with resources from past events.